Fabio Polonara graduated in Mechanical Engineering and got a Ph.D. degree in Applied Physics at the University of Ancona. 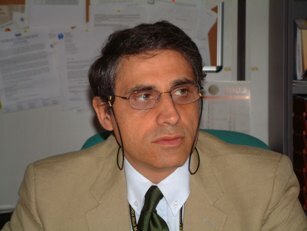 He is currently Professor of Applied Physics at the Dipartimento di Ingegneria Industriale e Scienze Matematiche of the Università Politecnica delle Marche (UPM). Since 2012 he is the Director of the Dipartimento di Ingegneria Industriale e Scienze Matematiche. He lectures at the School of Engineering and Agriculture of the Università Politecnica delle Marche, where he runs courses on Applied Physics, Thermal Sciences and Refrigeration Technology. Between 1990 and 1994 he lectured on courses and seminars organized by the European Union in Spain, Portugal and Malta as part of the COMETT and MED-CAMPUS schemes. His research activity focuses on topics relating to refrigeration technology, the thermophysical properties of refrigerants and biofuels, renewable energies (with emphasis on biofuels) and energy planning. Along these lines of research, he has been scientific project manager for research units working in the context of the European Union’s JOULE, FLAIR and IEE schemes. In 1991 and 1997 he was awarded NATO-CNR “Senior Fellowship” and CNR “Short Term Fellowship” research grants to perform studies and research on refrigerants suitable for replacing chlorofluorocarbons at the Centre for Energy Research of the University of Ulster at Coleraine (Northern Ireland, UK). On the energy planning side he has coordinated the group that prepared the Energetic and Environmental Plan for the Marche Regional Governement (PEAR), which was approved in 2005. In 2012 he has been appointed as National Delegate for Italy at the International Institute of Refrigeration (I.I.R. ), a scientific and technical intergovernmental organization based in Paris, France. From 2007 to 2011 he has served as vice-president of the B1 Commission (thermodynamic and transport properties) and since 2011 and at present he is serving as vice-president of the A2 Commission (Liquefaction & separation of gases) of the I.I.R. His research activities are documented in more than 170 papers, published on international and national journals and presented at international and national conferences.